“GVC Holdings PLC (LSE:GVC) is a multinational sports betting and gaming group, the leading e-gaming operator in both B2C and B2B markets. GVC has four main product verticals (sports, Casino, Poker, Bingo) with a number of brands; Sports labels (bwin, Sportingbet, gamebookers), Gaming labels (partypoker, partycasino, Foxy Bingo, Gioco Digitale, CasinoClub), Studios (B2B) and non-core assets. ElectraWorks Limited is also licensed and regulated by the UK Gambling Commission and holds the Remote Operating Gaming Licence No. 000-039011-R-319371-004. Approved licensed premises at Suite 6, Atlantic Suites, Europort Avenue, Gibraltar. ElectraWorks Limited is therefore subject to the strict supervisory requirements of the UK Gambling Commission as set forth in the Gambling (Licensing and Advertising) Act 2014 as well as in the Licence Conditions and Code of Practice (LCCP 2014) which came into force on the 1st November 2014. Licensed by the Government of Gibraltar and regulated by the Gibraltar Gambling Commissioner under the Gambling Act 2005, our games are powered by the GVC systems which are independently tested to ensure that our games operate correctly, are fair, their outcomes are not predictable and that the system is reliable, resilient and otherwise up to the highest standards of software integrity, including access control, change control recording, fingerprinting of the executables and regular monitoring of all critical components of our systems. Complaints may be submitted by contacting our Customer Service team. If all reasonable means to resolve the complaint have been exhausted, you can file a complaint with an Alternative Dispute Resolution entity. We see online gambling as a legitimate form of entertainment that is enjoyed by millions of adults worldwide. We advertise and operate responsibly in order to protect minors, and we assist those that may have problems to help identify their issues and, if appropriate, seek counselling. For more information, see game fairness and responsible gaming. Our systems perform random security checks and other log-file reviews to maintain system integrity and fairness at the tables. If we find any players participating in collusion or deceptive practices, we will close their accounts immediately. We offer a variety of easy deposit options and guarantee fast cash outs. All payment processing transactions are transmitted by, and stored in, our secure, proprietary cashier system. Additionally, our new integrated platforms allow you to play a variety of gaming sites using a common account and log-in. We understand that your time is valuable and that you want to have fun, free from hassles or problems. That’s why our five-star Customer Care Team is available to help you, 24 hours a day, seven days a week. In addition, we assign dedicated hosts to our regular players to ensure the highest level of support and the best comps and bonuses. At GVC we believe our rewards programme is second to none. 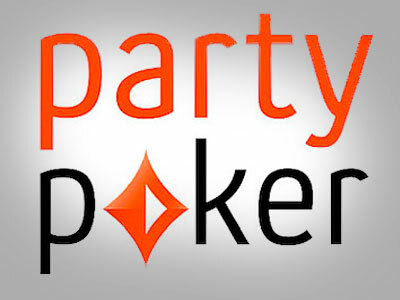 🎁 Party Poker Mobile Bonus!